SPLAT CAM: SHOUT OUT TO SPLAT860 ON THIS DOPE PIC! MY WHOLE TRUNK IS FILLED WITH "THE CONN-VICTION TAPES" MERCH. I would like to recognize Splat860 for his contribution to the CT music scene in addition to his help with "The Conn-viction Tapes"! I am grinding hard to put this project together and make it huge, which it will be! When someone like Splat uses his skills and creativity to help further that goal, I appreciate it. 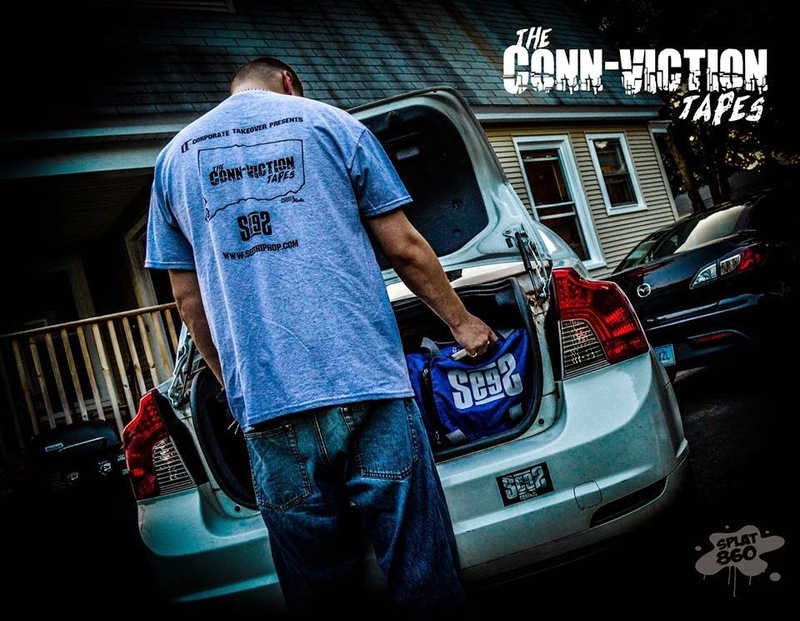 My whole trunk is filled with merchandise for SeeS and "The Conn-viction Tapes"! CT ARTIST: MR. BUZZWORTHY "F WHAT THEY SAY"
CT ARTIST: SPLAT 860 "MY TOWN"